Otherwise known as trauma plates, ceramic armor plates are around for decades already. They are used as bullet protection among different vehicle types such as the armored cars and VIP vehicles, including transport aircraft protection such as armored helicopters. There are also marine-grade ceramics used for ships and boats. Ceramic armor plates are popularly used as inserts in soft body armor or ballistic vests. 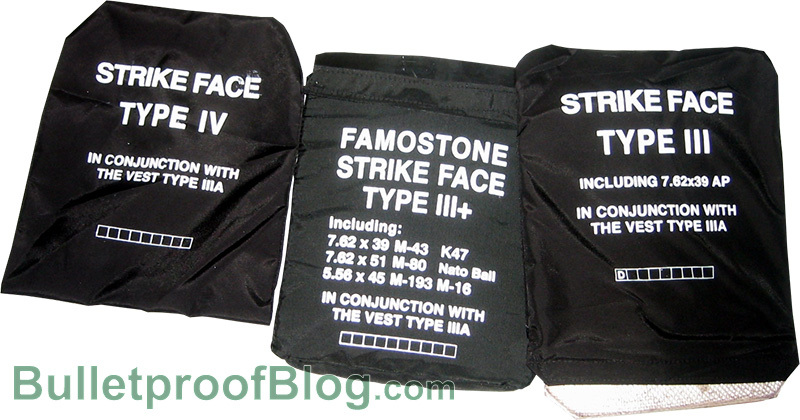 SAPI or Small Arm Protective Inserts are used by US armed forces. They are ceramic plates slipped into the body armor to increase its protective value. The ceramic plates that are issued by the US military are called Enhanced Small Arms Protective Inserts or ESAPI. They are enhanced version of SAPI plates that are commonly used by the policemen. XSAPI are higher level SAPI that can stop greater velocity threats than the ESAPI. The most common material used to make ceramic plates is lumina oxide. The next step up is silicon carbide which is a slightly lighter tile that is approximately about three times more costly. The toughest material so far is boron carbide. It is a very high-density tile ceramic, but weighs a couple of pounds lighter. They can be used to create type 4 protection level plates that will effectively stop armor-piercing rounds. However they are much expensive. Boron carbide ceramic armors are more often used by the military while lumina oxides are the ones commonly used by policemen or law enforcers. The main drawback of using ceramic armors though is that they are not designed to sustain successive impacts as these impacts can quickly lose the material’s protective value. When a bullet hits your ceramic armor, the energy from that bullet is transferred into the solid surface of the ceramic plate armor, which then tries to distribute the energy coming from it. Unlike steel plates, the ceramic plate can’t deform and instead breaks. By breaking, the energy from the bullet is absorbed into the shattered pieces and directed away from the user’s body. This may take so much energy out of that bullet that it reduces damage because it cannot penetrate the next layer of the ceramic armor (commonly used material is Kevlar, or some other hard-to-penetrate polymer materials). This is basically why ceramic armors are not suitable for use as stand-alone armors because of its shattering effect. They are designed to break when hit by a bullet, and by nature they are brittle. They can only take a very limited number of bullets. They must be supported by a backing material which can be made out of metallic or polymeric composite materials for maximum protection. One of the most commonly used types of backing material is Kevlar. Ceramic plaes are high performing armor protection. Ceramic armors are fives times stronger than steel and are 70% lighter. Ceramic plates have excellent capability to defeat high velocity projectiles. When you are in a mission on a hot, sunny day ceramic plates are not as hot unlike steel plates.